At Sealevel our most fulfilling, innovative products are often the result of unique customer challenges and specifications. Those projects push us to fulfill our ongoing commitment to exceed expectations. And sometimes, we even surprise ourselves. 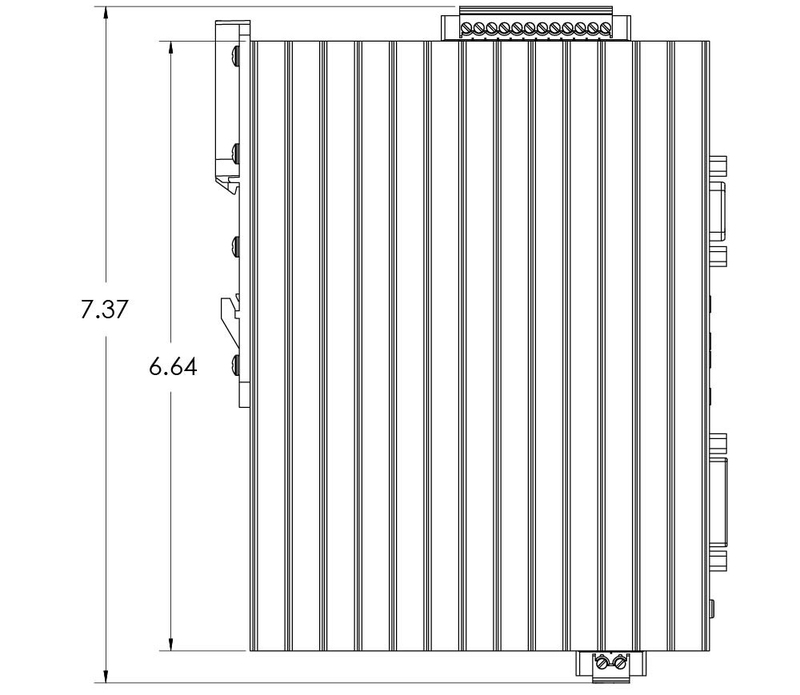 Sealevel has provided custom I/O board design for customers since 1986. Whether you need a plug-in card solution, such as PCIe or PMC, or a complex system design, our experience can be leveraged to create the design you need on time and within budget. Our engineers use advanced electrical schematic capture, layout and routing, and modeling tools from Altium. Over the years, we have developed an extensive library of parts and reference designs that allow new product designs to be produced reliably and quickly to speed your time to market. Field Programmable Gate Arrays, or FPGAs, are digital devices with highly configurable architectures of logical elements and interconnects. At Sealevel, we use FPGAs in both standard and custom products and our high-speed, control-based designs range from finite state machines and FIFOs to full System-on-Chip architectures, with on-chip processors running Linux. Using FPGAs and IP enables us to accelerate the design cycle, increase product longevity, and produce rapidly extensible hardware platforms. We use the latest tools and have full simulation capability with Aldec’s Active-HDL for FPGA design entry and simulation. Using advanced 3D modeling tools from SolidWorks, complex mechanical projects are accomplished with amazing speed and accuracy. Every aspect of the design is modeled, including board, component and connector placements. These models are used to communicate the design with you to ensure that all expectations are met before we build prototypes. For applications that require extended temperature operation, we employ thermal modeling to predict environmental performance. These simulations help determine the best component selection and placement in the design phase, saving valuable time and money required to correct problems otherwise not found until prototype testing. Modern electronics invariably have a software component. Sealevel’s staff includes software engineers, computer engineers, and computer scientists for a team adept in solving the most complex embedded software challenges. Our engineers use industry-standard software development processes to ensure compliance with specifications and schedule. Past projects include development of custom BSPs, microcontroller firmware, drivers, Windows and Linux APIs and utilities. Whether you are using Windows, Linux or no OS at all, we can help. Sealevel will create or assist in the design of a custom system, client-tailored and ready for use. We have the skills and experience to build your computing solution from prototyping to implementation and integration. 3D CAD/CAM: Used for the rapid creation of parts, assemblies and prototypes. Embedded Logic and Signal Processing Board Design: SoM, RISC microprocessors or controllers, ARMS, DSPs and FPGAs. LCD & Touch Screen Integration: We have designed for LVDS, HDMI, and DisplayPort video interfaces as well as Resistive and PCAP touch overlays. Enclosure Design: Enclosures to satisfy the customer’s unique application and environment may include machined, cast, metal and molded; Rack-mount or DIN rail. System Drivers: BSP for a variety of hardware boards, including development/porting of the device drivers for various peripherals such as serial and Ethernet communication, graphics display and touch screen. Operating System: Windows, embedded Linux, BSPS to help customers speed up their project development. Embedded Firmware: A wide range of embedded firmware solutions, no-OS environment, FreeRTOS. For products that require the highest reliability, Environmental Stress Screening (ESS) can accelerate defects that may otherwise not be detected until a field failure occurs. This is done by subjecting the unit under test to rapid thermal cycling and vibration testing that can precipitate latent defects such as cold solder joints, loose fasteners, or poor wire crimps. Defects found during ESS can be addressed rapidly to determine root cause and effect a corrective action to eliminate recurrence and improve the overall quality level of the product. Once a product is released for production, Sealevel’s extensive manufacturing capabilities provide a trouble-free pipeline to meet delivery demands. Our in-house test equipment includes modern thermal chambers and vibration stations suitable for large volume production orders requiring ESS. Whether your market is military or commercial, Sealevel offers the knowledge and tools to bring the highest level of quality to your next product design. Great products begin with great definition. Clearly defining the scope and deliverables is a key element of all successful product design efforts. Sealevel’s experienced staff works with you to understand the details of your requirements and then works to create both a Statement of Work and Project Schedule. As the project progresses, Sealevel provides frequent updates and schedules review meetings to coincide with key project milestones in each phase of the development.